Shri Vishnu Saran, B.E. (Mechanical), Chairman of MIET, has obtained his B.E. (Hons.) degree from NIT Kurukshetra and then served the state of Uttar Pradesh for over 37 years as Director of Boilers. He is a man with an extraordinary perception of a better tomorrow for each student who enters the premises of MIET through the provision of the best possible resources one could ask for. 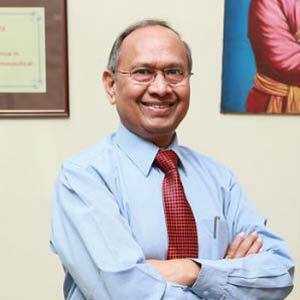 He is a visionary who is carrying on the dream philanthropic project nurtured by his father, the Founder-Chairman of MIET Group, Late Sri CS Agarwal. He strongly believes and follows the four golden principles for success laid by the honourable Late Smt. Indira Gandhi ji – Foresight, Hard Work, Determination and Discipline. It is true that the strength of MIET lies in his grit & determination, a forceful support by his excellent subordinates and the overall study orientation by multi development policies that has distinctly made MIET a name brightening up in progression each year.